The Supreme Court’s three-judge bench of the Chief Justice of India, Dipak Misra, and Justices Amitava Roy and AM Khanwilkar, delivered on Friday, its judgment in the appeals against the final award of the Cauvery Water Disputes Tribunal. The verdict has been delivered almost 11 years after the date of the award, February 5, 2007. LiveLaw answers questions that readers may have on the verdict. Q: So, is it the end of the inter-state dispute over the sharing of Cauvery water? A: Well, it does mark the end of the litigation in the Apex Court in the main matter of appeals against the Tribunal’s award. If one of the parties doesn’t comply with the directions, it may lead to contempt, and we can see parties knocking the doors of the Supreme Court again. Q: But both the States have reasons to be happy with the verdict, right? A: Yes. Karnataka is happy because the verdict stipulates reduction in the mandatory release of water to Tamil Nadu from its reservoirs from 192 tmcft as stipulated by the Tribunal, to 177.25 tmcft at the inter-state border of Biligundulu. Besides, Karnataka’s allocation was increased by 4.75 tmcft for drinking water for the residents of Bengaluru, and 10 tmcft towards industrial and other uses, including increasing the area of irrigation. Tamil Nadu is, no doubt, disappointed that its share of water has been reduced from what the Tribunal had mandated. But the fact that the Court has mandated a prescribed release of water, according to a schedule, is a good sign for the State. After all, experts have pointed out that as a lower riparian State, Tamil Nadu cannot endlessly be aggrieved about getting a reduced quantum of water. The Court’s declaration that interstate rivers are national assets, and do not belong to a particular State, is in Tamil Nadu’s favour, though some would call it a mere lip service. Q: So is it a feather in the cap of the Chief Justice of India, Dipak Misra, that he solved a century-old problem amicably? How did he achieve it? A: Well, whether the CJI has solved the problem amicably, only future can tell, as many sections in Tamil Nadu have begun to express disappointment over the verdict, and blamed the Tamil Nadu Government for not doing enough during the Supreme Court’s hearings to bring justice to the State. But Tamil Nadu did engage the best counsel that it could. Shekhar Naphade and Rakesh Dwivedi are both accomplished senior counsels in the Supreme Court, and they did lend their best effort for the cause of their client, Tamil Nadu. If wiser counsels in Tamil Nadu persuade the aggrieved sections to focus on the implementation of the verdict in letter and spirit, rather than protest, it can bring a quietus to the problem. Much will depend on how Karnataka complies with the verdict. If Karnataka resists releasing even the reduced quantum of water to Tamil Nadu, then things would be back to confrontation and reopening of the legal position again. Q: What was the justification in the judgment for the reduced quantum of water to be released by Karnataka to Tamil Nadu? A: The court appears to have relied on the Karnataka counsel, Shyam Divan’s submission that groundwater is a renewable resource and, if not extracted regularly, would reduce the absorption capacity of the underlying aquifer resulting in rainwater/surface water being wasted as run-off. He also submitted that the Tribunal had erroneously excluded a large coastal area while rejecting the argument for groundwater. He also emphasised that the Tribunal committed a patent error by failing to reduce the amount of water allocated to Tamil Nadu despite recognizing the availability of 20 TMC groundwater in Tamil Nadu, and the conjunctive use of the same along with surface water. Such quantum of groundwater ought to have been factored in as an available/additional resource in Tamil Nadu for the purposes of irrigation, he had pointed out. Naphade, in his arguments, did counter Divan on this issue (Paragraph 329), but without much success. Naphade argued that groundwater could not be considered as an additional resource, as it was recharged by surface water and was subject to various factors like rainfall and soil characteristics. Groundwater levels were not consistent throughout the year and Karnataka’s construction of water projects had even reduced the flow of water into the Mettur Reservoir which, in turn, had drastically reduced the groundwater recharge level available to Tamil Nadu, he told the court. The bench pointed to exhaustive studies by the Central Ground Water Board, Ministry of Water Resources, Irrigation Commission, 1972 and U.N.Development Programme, proving the availability of replenishable groundwater in Tamil Nadu. Tamil Nadu, the bench underlined, had also mentioned in its pleadings that in the old Delta, there was a scope of conjunctive use of groundwater to the extent of 30 TMC. The bench underlined the Tribunal’s estimation that 20 TMC of groundwater was available in Tamil Nadu, which was independent of any contribution from the surface flow of the river Cauvery and, thus, could be construed to be a stock available with it unconnected with the yield of 740 TMC otherwise quantified for allocation. The bench also justified the reduction in terms of Tamil Nadu’s own pleadings that 30/47 TMC as groundwater was available. Therefore, the bench concluded that 10 TMC of groundwater available in the Delta areas of Tamil Nadu can be accounted for in finally determining the apportionment of the share of the otherwise deficit Cauvery basin without touching the yield of 740 TMC. Q: The Tribunal’s Award was criticised by experts because it did not suggest a formula for sharing of the Cauvery water during a distress year. Has the Supreme Court suggested one? A: No, it doesn’t. 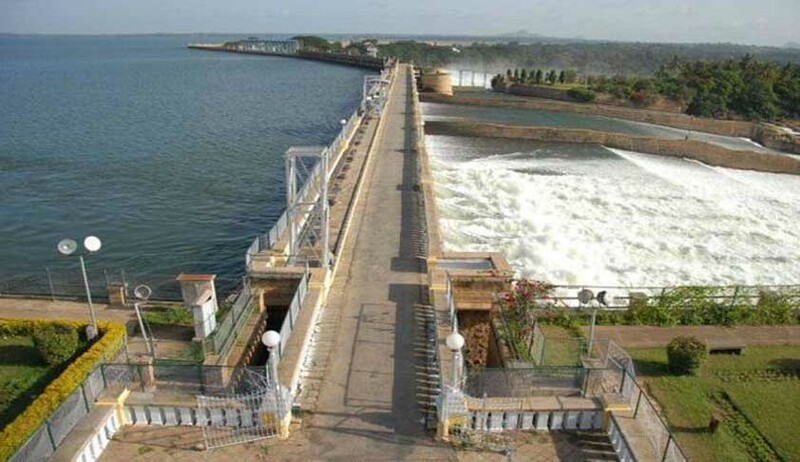 It only echoes the Tribunal’s conclusion that in case the yield of Cauvery basin is less in a distress year, the allocated shares shall be proportionately reduced among the States of Kerala, Karnataka, Tamil Nadu and the Union Territory of Puducherry, by the proposed Cauvery Management Board. In any case, distress sharing formula is a complex exercise, which the court is not equipped or competent to engage with during the hearing.